Institute for History of Material Culture, Rus.Acad.Sci. Peter the Great Museum of Anthropology and Ethnography, Rus.Acad.Sci. Archaeological sites are sources for studying not of ancient cultural processes exclusively, but also of environments of the past. Sometimes they are the unique evidence of existence of landscapes that have totally disappeared now. From the other hand, the results of palaeogeographical studies allow developing of predictive models for archaeological sites surveying. This problematic kept a big part in V.I. Timofeev’s research activity. 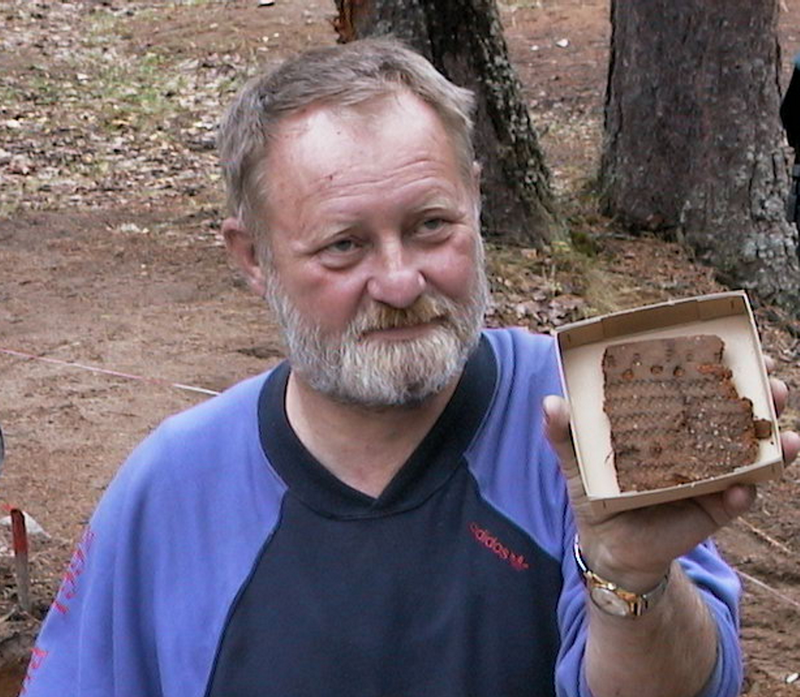 His fieldworks, first and foremost in Karelian Isthmus, made a basis for revision of the shoreline displacement chronology of the Stone Age sites in the eastern part of the Gulf of Finland and in the Ladoga Lake area. The section is aimed on discussing the problems of interdisciplinary archaeological-palaeogeographical studies on this topic in Circum-Baltic space. The section aims on discussing models of directivity and dynamic of spreading within the Circum-Baltic space the assemblage of innovations, which are generally considered as a phenomenon of “neolitization”. V.I. Timofeev was one of the first Russian archaeologists dealing with those issues. Also larger questions related to the up to date understanding of terms Neolithic and neolitization, as well as chronological frames of this phenomenon in the named area, are to be touched upon within the frameworks of the discussed topic. Relationships between people can be observed through the framework of multi-dimensional social networks. Numerous networks connected both single individuals and social groups of different size, scope, and structure also throughout the prehistory. Further, it can be assumed that social communication was in constant flux and that these continuously changing networks also left their mark on archaeological materials, making it possible to analyse social networks at different times and in different areas, and to study long-term changes as well. These issues were also of great importance in V.I. Timofeev’s studies on the Mesolithic and Neolithic of the Circum-Baltic region. Generally, changes observed in the use and selection of raw materials and technologies or, for instance, dwelling or burial customs, have been explained either as the result of internal or external factors – still, the discussion on social (or contact) networks has mostly been focused on the appearance and distribution of particular stone/bone artifact or pottery types and especially on the exotic raw materials. The appearance, increase, or decrease of (exotic) materials and particular cultural features have been seen to indicate (often unspecified) changes in these networks – but also the absence of particular features can be just as revealing. Lately, natural-scientific methods of palaeo-genetic and stable isotope analyses have provided new materials to these studies. Still, the basic questions remain: What caused the formation, variation, and disintegration of social networks? How are the past social networks visible in archaeological materials? To what extent archaeological assemblages actually indicate the nature of these social contacts, how much mobility can be attributed to social networks and to what extent migrations and isolation are reflected in the archaeological materials? This section aims on analysing and interpreting the evidence of the social networks during the Mesolithic and Neolithic in the Circum-Baltic region in all their dimensions and multiplicity. 4. Elshanian – Strumel – Ertebølle pottery – parts of one cultural area or cultures with different origins? V.I. Timofeev proposed a hypothesis that Ertebølle pottery origin could have been influenced by Elshanian archaeological culture, evidenced in morphological similarity of pottery. This hypothesis about one of the oldest hunter-gatherers pottery has become rather popular recently. We suggest to discuss the technology, morphology and decor of pottery attributed to Elshanian, Strumel and Ertebølle cultures, as well as their relative and absolute chronology. This could allow us answering the main question whether these were parts of one cultural area or cultures with different origins? A book of extended abstracts is supposed to be published before the conference. Materials for publication (up to 1500 words plus one black and white illustration) should be sent to the Organizing Committee before January 10, 2017. Papers are supposed to be published after the conference. Dr. Lapshin V.A. – Director of the Institute for History of Material Culture, Rus.Acad.Sci. Dr. Chistov Yu.K.– Director of the Peter the Great Museum of Anthropology and Ethnography, Rus.Acad.Sci. Dr. Vasilyev S.A. – Head of the Dept. for Palaeolithic studies, Institute for History of Material Culture, Rus.Acad.Sci. Dr. Ole Grøn – Norwegian Maritime Museum, Honoree Professor of the Institute for History of Material Culture, Rus.Acad.Sci. Dr. Engovatova A.V. – Deputy director of the Institute for archaeology, Rus.Acad.Sci. Dr. Shumkin V.Ya. - Institute for History of Material Culture, Rus.Acad.Sci. Dr. Zaytseva G.I. - Institute for History of Material Culture, Rus.Acad.Sci. Dr. Sinitsyna G.V. - Institute for History of Material Culture, Rus.Acad.Sci. Dr. Kolpakov E.M. – Institute for History of Material Culture, Rus.Acad.Sci. Dr. Lozovskaya O.V. – Institute for History of Material Culture, Rus.Acad.Sci. Dr. Gerasimov D.V. - Peter the Great Museum of Anthropology and Ethnography, Rus.Acad.Sci. Tkach E.S. – Institute for History of Material Culture, Rus.Acad.Sci. Kholkina M.A. – St.-Petersburg State University, Peter the Great Museum of Anthropology and Ethnography /Kunstkamera/, Rus.Acad.Sci.